When we remember to breathe by practicing breathing exercises, the whole world of relaxation, and therefore, optimal health is open to us. It is physiologically impossible to hold tension when you breathe deeply! In my holistic health practice, the single most common problem I see is ineffective breathing. While our need to breathe is a prerequisite for life, somewhere along the line we lost our ability to breathe deeply, easily and fully. 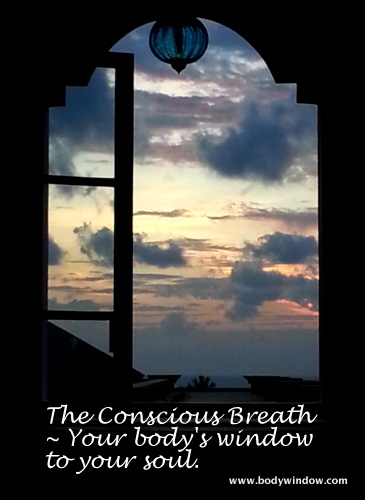 Is it any wonder that the ancient yogis developed the practice known as pranayama, or the art of breath control? Apparently, this problem has existed in the human race for awhile now. The yogis learned that controlling the breath allowed you to control stress, control your physiological functions and control your quality of life and reach self-realization and enlightenment. How can it be that something so extraordinarily simple can affect us so much? How powerful indeed, is this tool, the ability to remember to breathe effectively! I believe the reason that we cannot remember to breathe effectively is our current culture that is based on action-oriented, left-brained, "masculine energy" results. This observation is not meant to be judgmental, merely an observation that our quiet, intuitive, right-brained, "feminine energy" sides are not as well nurtured. As a result of all the need for action and results, we find ourselves rushing and pushing most, if not all of the time. If we just spent equal amounts of time nurturing our quiet and creative sides, we could maintain a more healthy balance. One of the simplest ways to nurture your quiet, intuitive side is learning to breathe more fully and in slower, more relaxed fashion that stills the excitatory nervous system, the sympathetic nervous system, and allows for relaxation and recuperation through the parasympathetic nervous system. Learning to breathe properly is necessary for the organism's homeostasis, or balance. With too much tension and action, the organism becomes quickly out of balance. Tensing our muscles when we are stressed is an automatic response in our bodies. In our need to breathe during a time of high stress and strong emotion, we shorten our breath, breathe faster and more shallowly in response. We also pull up our shoulders, tense our necks and round the back. Its as if we know that if we open up our upper bodies, we will explode with emotions. (Other muscle groups may be affected as well). When negative emotions rise, muscle tension rises with it as we hold our breaths. We do this automatically, without thinking. But the good news is that this can all be easily reversed, if you just bring conscious awareness to the breath and remember to breathe better. The tension does not have to be automatic, if you can learn to breathe through your stress and keep your body more relaxed. With practice, this "pranayama" or control of the breath in everyday life is possible, as you remember to breathe better throughout your day. It is possible to calm yourself through deeply breathing, triggering the parasympathetic nervous system and relaxation. It is physiologically impossible to hold muscular tension when you breathe deeply! And it is the breath that breaks the tension cycle! If we could just learn this technique and apply it in our everyday lives! A very effective exercise to evaluate the depth of your breathing is to sit upright, quietly. Breathe in and out as normal, for a few minutes and focus on your breath. When you are ready, take in a deep breath and fill you lungs. Then, open your mouth and as you exhale, say "ahhhhh" for as long as you are able. If you are unable to prolong the exhalation phase for a period of 20 seconds while saying "ah" you are breathing too shallow. You are holding in, or guarding the precious breath, instead of fully releasing, to bring back deeper breath, deeper life energy. I admit it takes practice and I personally had no idea how tightly I was holding on to my breath. 20 seconds is a loooongggg time! If feelings arise from this deep breathing exercise, notice them and write the feelings down if you can. Many of us have tight muscles in the diaphragm, unknowingly. It is where a lot of our tension goes, as we all hold our breaths when emotions arise. Other people have tight muscles in the upper back and shoulders that hold tension, preventing the chest from fully expanding, that makes breathing deeply very difficult. Often when we try to remember to breathe effectively, our bodies also remember things that we are trying to hold inside. Relaxing the muscles of the breath may release some of these emotions that have been hidden from consciousness. In addition to the above breathing exercise to build up stamina and control of the breath, one of the easiest way to calm you is with the alternate nostril breathing technique. This a a classic yoga pranayama. It will help you remember to breathe through both nostrils. The yogis figured out a long time ago that we breathe predominantly through one nostril! This exercise increases your oxygenation by learning to breathe through both! This pranayama practice will calm you and rejuvenate you, because breath is life! 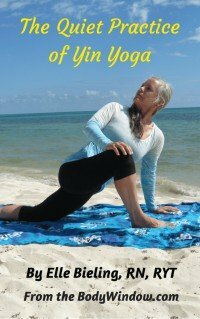 Join me, in my video to learn this simple pranayama technique! It is true that the breath holds the secret to life. When you breathe deeply, you inhale conscious awareness of all that is around you and within you. You become aware of all that you take in and all that you are able to receive. When you exhale, you become aware of all that you can release that no longer serves you. When you remember to breathe through proper breath control, this is the cornerstone of meditation. By calming the mind through the breath, you can approach God and God can approach you.